This week’s post is brought to you buy retired music teacher & fellow Beatle freak – Dave Thomas. Dave wanted to write a comparison between two books written by musicians that have both colaborated with Paul McCartney. One of the books, Elvis Costello’s memoir, I reviewed on November 15, 2015…you can reread it here. While somewhere in the midst of reading Unfaithful Music & Disappearing Ink by Elvis Costello, and hearing him talk (albeit briefly) about his collaboration with Paul McCartney, I found myself thinking about a book by another artist who has worked with Sir Paul: World on a String: A Musical Memoir by John Pizzarelli. I read the latter book some time ago, and was struck by the similarities, yet drastically different tone and content of these two books. I have never considered myself to be a huge fan of Elvis Costello’s music, but I have always had a great deal of respect for both the breadth of his musical knowledge, as well as his skills…and while I am not familiar with a great deal of his catalog, most of what I AM familiar with I enjoy very much. When I am in the mood for lyrics that make me think, Elvis Costello has never disappointed. His lyrics, by and large, are quite poetic, and in many cases, stand alone quite nicely apart from their musical accompaniment. In his memoir, he will often slip in and out of these lyrics, using them to illustrate a point, or describe an event in his life. Overall, his 2016 memoir (Unfaithful Music & Disappearing Ink) left me with very mixed feelings. Perhaps it was the out-of-sequence way in which it was told, which made the story a bit difficult to follow at times. Costello has worked with many musical partners over the years, in a variety of musical genres and styles…but the way the book has been edited left me with a case of musical and literary whiplash as we jumped into and out of stories featuring this eclectic mix of characters. Perhaps it’s just that after 688 pages, I really don’t feel like I “know” Elvis Costello any better than I did before. I know many more things about him than I did before, but all of these facts fail to leave me with a clear picture of who he really is. While clearly a talented, intelligent man, neither Mr. Costello’s music, nor this book, gives one the impression that he is “accessible”. Perhaps that was his intention – he appears to be a private person who, although he sought fame, is not as comfortable with the reality of it, as he is the idea. Given the length of the book, I would have hoped for more detail in his stories. I was particularly disappointed at the lack of anecdotes surrounding his late 1980’s collaboration with Paul McCartney, which led to McCartney’s album “Flowers in the Dirt”, and also had an impact on Costello’s album, “Spike”….but the whole book felt somewhat lacking in specifics. He dances around the edges of stories, especially those originating from a more reckless time in his life, in the earlier stages of his stardom. He mentions several failed relationships along the way, but we never get a real understanding for why they failed; neither do we hear very much about his current relationship with the talented Ms. Diana Krall. He talks quite a lot about his musician father, Ross McManus. Elvis’ relationship with his father seemed to often be rocky, but he does owe a lot of his early musical influences to his father’s work as a musician as a trumpet player and singer. They even collaborated on a few projects together, starting with a commercial jingle in 1973. But it is difficult (based upon this book) to draw a clear musical line from the father’s work to the son’s. There are a few (and just a few) moments of lightness and humor in the book, much of it having an air of lessons learned and a few regrets…but Costello’s tone seems to soften slightly when he talks about his father’s failing health robbing them of the music that was a large part of the bond between them. This is all in very stark contrast with World on a String, by John Pizzarelli. First – full disclosure: While I cannot say I “know” John Pizzarelli, I have had numerous opportunities to interact with him, (along with his father, Bucky, and his brother, Martin) over the years – starting with the wedding of some mutual friends (mine and John’s) about 30 years ago. John was still in his early 20’s, honing his skills, and I’ve enjoyed watching his talent develop and grow over the ensuing years. Because of the interactions that we’ve had, I can tell you without equivocation that John Pizzarelli is one of the nicest, hardest working guys in “show business”. So without any slight intended toward Mr. Costello, I acknowledge that this review may tend to favor Mr. Pizzarelli’s book. I used the term “show business” above for many reasons, not the least of which is that it evokes an era that Pizzarelli is completely familiar with and comfortable in – the era which gave us the “Great American Songbook”. The names Berlin, Mercer, Gershwin, Schwartz, Porter, van Heusen and Arlen come up frequently on his recordings, in his shows, and in this book. John is a master story-teller, a pretty decent mimic (a talent which he employs often when telling stories), a wonderful crooner and a world-class guitar player. Like Costello’s book, Pizzarelli spends a great deal of time talking about his father’s musical career, but in this case, the direct career line from father to son is unmistakable. In fact, a great deal of John’s early career was spent playing gigs with Bucky, and the two still occasionally play together, as Bucky continues to demonstrate his mastery of the instrument at age 91 (as of this writing). Unlike the somewhat dry, factual recounting we get from Costello’s book, Pizzarelli’s mood is upbeat and jovial, his stories full of amusing anecdotes and inside stories of well-known musical figures. The only change in tone comes when he speaks of his 1st manager, and to a lesser degree, his co-star in the Broadway musical Dream, Lesley Ann Warren. Every story has enough detail to give you a “you are there” feel, despite the fact that at 304 pages, it is less than half the length of Costello’s book. The Pizzarellis were, and are, a typical New Jersey Italian household: Sunday dinners were a very important event! What was not typical was the people around the table at those dinners: Les Paul, Zoot Sims, Joe Pass, and many, many other musical legends who knew and worked with John’s father, Bucky. Reading this book (or better yet, listening to the audio version, read by John), you’ll feel like you’re at one of his shows, and at times, even sitting around in his living room being regaled with stories of jazz history. His writing style puts you at ease, with a great deal of humor sprinkled throughout. Unlike Mr. Costello, whose parents divorced when he was not yet out of secondary school, John’s childhood centered around a very strong home life. It is no coincidence that Bucky, who was the original guitarist for the Tonight Show, decided not to move to California when Johnny Carson took the show from New York City to Burbank, because most of the Pizzarelli family was on the East Coast. John was taught to play guitar by his father and uncles, and has worked all over the world for the last 30 years, often with his father Bucky on guitar and/or his brother Martin on bass. In fact, both John and Bucky perform on Paul McCartney’s 2012 release, Kisses on the Bottom, (along with Costello’s wife, Diana Krall), and Pizzarelli’s stories about working with Sir Paul are much more forthcoming than Costello’s. The reader gets the impression that his strong family ties are the main reason why John has stayed so grounded over the years, despite working with the likes of Frank Sinatra, Rosemary Clooney, Doc Severinsen, James Taylor, Paul McCartney, and probably most of the jazz musicians any reader could name. The book leaves you with the impression that John is every bit the same person in private as he is on stage. Two artists of our generation, born 6 years and 3,500 miles apart, with very different backgrounds, very different talents, and each having (for the most part) a very different fan base…. but both their paths intersected musically with Paul McCartney. Such is the power of music to unite, and such is the magic of a Beatle. But then, The Beatles have been uniting people through their music for over 50 years, so I guess that’s no great surprise. This guest post is written by friend, musician and Beatles freak Scott Erickson. Thank you, Scott! Good Times! is the brand-new studio album by The Monkees. It’s been released in conjunction with the Monkees’ 50th Anniversary. The album contains several songs originally recorded in between 1966 and 1969, but were never completed or released. It also contains several new songs written specifically for the Monkees but some of today’s most popular songwriters. Produced and mixed by Adam Schlesinger (of the band “Fountains Of Wayne), it follows the format of the most successful of the Monkees albums. A formula, in my opinion, sadly missing from 1987’s “Pool It!” and 1996’s “Justus”. Very nice use of Harry’s demo. If they recorded new parts for the backing track, they did an amazing job of matching the sound of the original track. Really nice to hear Micky singing a duet with Harry. The only real criticism I have, is that the song still sounds like an unfinished demo. On the other hand, that demo feel adds to the overall charm of the track. There are some odd vocal ad libs by Micky that have him sounding like he’s using his “opera” voice. But, they pass by quickly enough to be ignored. A really great way to start off the album. A bouncy, fun tune. Some cool psychedelic guitar sounds. Excellent vocals from Micky. Very clear backing vocals from Peter and Nez. Catchier than a social disease. I still can’t stand the lyrics. But at the same time, this song holds up to repeated listenings. For someone that needed to be brought up to speed on the Monkees’ back catalog, Schlesinger has written a first-rate Monkees song. Catchy chorus. Wonderful vocal from Micky (including a “Holly Hiccup”). Really nice Harpsichord work on this one. I think this may be my favorite of the first four songs. The first of the true “unfinished” Monkees songs. The first time I ever heard this song was on a VERY obscure 45 by a garage band called “Freddy & The Four-Gone Conclusions”. Originally produced by Jeff Barry in 1967, this song remained incomplete and unreleased until now. Micky’s on lead again, giving a really ballsy performance. Crystal clear backing vocals from Nez. This one is just a little party. A very pretty duet between Mike & Micky. Honestly, I think I like hearing them harmonize more than I like the song itself. It just seems to move at a very slow pace, and never really goes anywhere. My main complaint about this song is the mix itself. Mike & Micky have voices that can blend really well (check out “Auntie’s Municipal Court” from “The Birds, The Bees, & The Monkees” for the most perfect example), but that blend is sorely missing here. It’s a pleasant enough song. But really not one of my favorites on the album. I’m interested to hear the “Version 2” iTunes bonus track and compare it to the album version. A brand-new-from-the-ground-up recording of another unfinished tune. This one is a Boyce & Hart tune that dates back to late 1966/early 1967. Another powerhouse vocal from Micky that’s supported by great backing vocals from Micky’s sister Coco, Nez, and Bobby Hart himself. If I didn’t know that this was a brand new recording, I’d swear that I could hear Tommy Boyce’s voice in the backing vocals as well. Adam Schlesinger and company really nailed the sound of feel of the Boyce & Hart-produced tunes from the Monkees 1966 debut album. This is a standout cut, and probably the first song on the album that really feels like a classic “Monkees song”. … But it’s not the last. In 1977, Peter performed this song (then titled “Sunny Side Up”) at CBGBs in New York City. He introduced it by saying that he wrote it as “Davy’s follow-up to ‘I Wanna Be Free’ “. So this song has been around since around 1966. Admittedly, this new recording is an improvement over that old performance. It’s just not a very good song. It has some really nice chord changes. The melody is sweet and quirky, and the lyrics are also sweet… maybe a little too sweet. Like “Love To Love”, this one also feels a little out of place. As much as I hate to say it, this is one that I’ll probably skip when I listen to the album (after I’ve fully digested it). This is just a fantastic track. Alternately psychedelic rock, pop, and tin-pan alley, this song is all over the place in a good way. It combines the best elements of vintage Monkees songs like “P.O. Box 9847”, “D. W. Washburn” and (dare I say it?) “Writing Wrongs” and blends them all together into a 3:30 mini-symphony of pop bliss. Nez handles part of the lead vocals, and Micky handles the other part. Production-wise, this song is right in Mike’s wheelhouse. Truly a highlight of the album. The final “unfinished” song on the album. This song was originally recorded during the sessions for “The Birds, The Bees, & The Monkees”, and the same backing track used here appears in its original unfinished form on the Rhino Handmade deluxe 3 CD Edition of BBM. This is by far the most surprising cut on the album, featuring a brand new, absolutely wonderful lead vocal from Peter Tork. I don’t think I’m too far off the mark when I say that I think that this is the best vocal performance Peter’s ever committed to tape. Another absolute highlight, I feel that had this song been finished and released in 1968, it would not be nearly as good as it is now. On the few occasions that Papa Nez sits down and writes a real love song, he usually gets it right. Previously released on his website as a solo recording, it fell flat for me, and I didn’t care for it. This time, it took another producer to flat-out nail it. Adam brought out the pure beauty of the lyrics and melody. He kept the accompaniment simple. A little piano, a little acoustic guitar, and an instrumental middle section with a Mellotron(!) string quartet. Nez’s voice is clear and strong here. Based on the solo version, I really didn’t think I was going to enjoy this song. But damned if it’s not one of my favorite tracks on “Good Times!”. Finally, there’s a song here that I can actually say that I love! Micky is fond of telling the story of how the Beatles threw a party for The Monkees in 1967, and including “….I’m told I had a good time” as a punchline. He’s been telling that story for the better part of 20 years now, and I cringed when I read that it was being used as the title of a song. But, horrible title aside, this is another song that’s just plain fun. Considering the story of that party, the unmistakable “Sgt. Pepper” feel of this tune is hardly coincidental. Bonus tracks (I haven’t heard yet) notwithstanding, this is a really fun way to close out the album. I’m too young to be a first generation Monkees’ fan. I “discovered” them in 1986 via MTV. The very first CD I ever bought was “Then & Now… The Best of The Monkees”. I’ve been a huge fan for the past 30 years (has it really been that long?). I remember buying “Pool It!” in 1987, and liking a couple songs, but being disappointed with the album as a whole. In 1996, the unthinkable happened; all four Monkees reunited for an album. This time, there would be NO outside musicians. Not only that, there would be no outside songwriters. All the songs would be written, and all instruments & vocals would be performed by Davy, Micky, Peter and Mike (who would also produce). Unfortunately, the results were almost unlistenable. In fact, the less said about “Justus” the better. That’s why when the news about “Good Times” several months ago, I was interested. But, I refused to get my hopes up. I think that was a wise decision. While it’s not without its faults, I like this album a hell of a lot more than I had anticipated I would. It is a very good, solid little album. For the most part, the songs are wonderful little pop tunes. There was a lot of talk in the fan community that this would basically be a Micky Dolenz solo project. I’m thrilled to say that is not the case. The entire group (including the late Davy Jones) is represented here. Lead vocals are primarily handled by Dolenz (as was ALWAYS the case on every album), and are shared by Nesmith, Tork & Jones. What really makes me happy though, is the amount of involvement from Michael Nesmith. Nez has always liked to maintain some degree of control of whatever project he’s involved in. But on “Good Times!”, he seems quite content to let Adam Schlesinger handle the reigns. Not only that, Mike sounds like he’s very happy with, and quite proud of the results. You can hear him singing harmony vocals on just about every song. He’s really a part of this album, and he sounds great. That brings me to another point. The vocals on this album are really top notch by everyone. Even Peter Tork, who has never been considered a strong singer, comes out swinging for the fences this time around. And what can be said about Micky Dolenz’s voice? Good lord! The man is 71 years old and his vocals are better now than they were 50 years ago. He’s got one of the best voices in Pop/Rock music. He really shines throughout the album. In summation, Good Times! is exactly the type of Monkees album that the group needed to leave as their legacy. And it’s exactly the type of Monkees album the fans deserve. If the Monkees and Donnie Kirshner had been able to reach the compromise where Donnie would pick the songs, but let the guys have a more active role in the studio, “Good Times!” is the type of album that would have been made. Happy 50th Birthday to the Monkees… Let the “GOOD TIMES!” roll! Book review: “The Fab One Hundred and Four (The Evolution of The Beatles from The Quarrymen to The Fab Four, 1956-1962)” by David Bedford. This week’s blog comes from: David Thomas – Guest Reviewer Extraordinare! Jennifer has a lot of plates spinning at the moment, so she asked me to fill in on her review blog this week – I am happy to do so, since I always seem to be reading at least one book on The Beatles at any given time. Question: Who played drums with The Beatles before Ringo Starr? a) Mike (McCartney) McGear, b) Pete Best, c) Norman Chapman, or d) all of the above? If you answered anything other than “d”, your Beatles education is incomplete. Not only is the answer “d”, but there are quite a few other names on that list as well! I had the pleasure of meeting David Bedford last March at The Fest for Beatles Fans. His first entry into the field of writing was Liddypool, Birthplace of the Beatles (To Understand the Beatles, You Have to Understand Liverpool). Mr. Bedford appears to be a fan of lengthy subtitles, but those subtitles really explain what the book is about, as well as his motivation for writing it. One might think there is little that has not already been written about The Beatles, but “Liddypool” gives the reader many valuable insights into the city that made John, Paul, George and Ringo the people they were and are. Having grown up in The Dingle, Mr. Bedford knows of what he speaks…and whether or not you know what The Dingle is, you really should grab a copy of “Liddypool” before it becomes impossible to find – it is now officially out of print, and according to a recent interview, there are no plans to reprint it at this time. The Fab One Hundred and Four is David’s 2nd book. It is an outgrowth of “Liddypool”, which contains a chapter entitled “The Fab 27”, where he charts every band member, name-change and lineup, from The Quarrymen to The Beatles. He said that writing that chapter “brought home the realization that, at the heart of The Beatles’ story is the tale of a long line of musicians who came and went through the band until it became The Fab Four we all know and love by the end of 1962.” He also “became fascinated with the story of how The Beatles were inspired and encouraged to begin their musical journey”, and “decided to find every musician who had played with The Beatles in their formative years, plus those who influenced them.” Thus was the genesis of “The Fab One Hundred and Four”. I am certain that even the most devout Beatle fan will learn something from this book. Some of the more interesting chapters for me include those regarding John Duff Lowe (keyboards), Tommy Moore (drums), and Royston Ellis (beat poet). The chapter on Norman Chapman (drums) was especially interesting to me, and few people know how close he came to being a full-fledged member of the group at one point. There is even a chapter on Janice the Stripper, for whom The Beatles provided backing music at “Cabaret Artists’ Social Club”, owned by Allan Williams. Although there is a tremendous amount of information to absorb here, the way the book is structured makes for very easy and enjoyable reading. This book is a must have for any serious student of The Beatles music. And now for something completely (well, partially) different; a guest review! I was so pleased to be asked to fill in for Jennifer on her review this week as she tends to very pressing writing matters of a different kind. Yes – Allan Klein, the man we Beatles fans love to hate! For a very long time, I’ve had an idea in my mind of what Klein was like. Unfortunately, it was based solely upon not very flattering anecdotes, and the knowledge that he had caused trouble between the Beatles. Besides, Paul McCartney, didn’t like him, so that was good enough for me! But deep down, I knew there had to be more to this man than the stereotypical caricature I had in my mind, so I sought out this book . The book itself is well written, albeit a bit tough to follow in spots where they are discussing the details of Klein’s financial and legal deals. These spots are numerous but short, and they are really quite integral to the story, because Klein was extremely creative for his time in the way he structured deals for his artists (and himself). Many of the things he did are commonplace (or in some cases, illegal) today, but back then, they were considered revolutionary and brilliant. Klein, as you may suspect, was far from a one-dimensional stereotype; in fact, he was a man of many contradictions. One minute he seems to be the most despicable figure EVER in the entertainment business, and the next there is something about him that evokes your sympathy. He was greedy with some, yet generous with others; he was a fierce negotiator, yet full of insecurities about himself and his abilities. He worked tirelessly to get a better deal for his clients, while simultaneously almost always getting an even better deal for himself. The book gives an excellent history of Klein the man, and gives the insight I was looking for into what made the man “tick”. We find out why he spent a good deal of his childhood in an orphanage, and over the course of time, how he transformed an early talent for numbers into a remarkable career….through a combination of hard work, perseverance, luck, and a little (okay, maybe more than a little) deceit thrown in along the way. 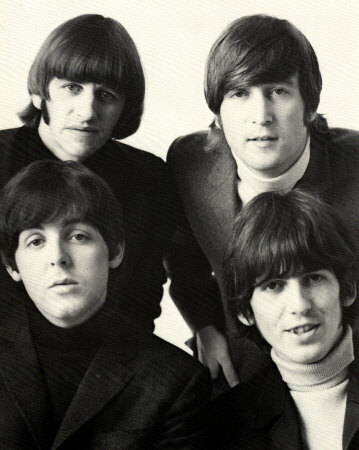 As the title suggests, his dealings with the Beatles are only a part of what is discussed in the book, although from long before his first meeting with John Lennon, Klein made it his ultimate goal to work with them; an achievement which would say to the world, and more importantly to himself, that he had finally succeeded. A great read about a key figure in Beatle history. I give this book 4 Beetles!